In January 2015, Kam Franklin quit her full-time job at an investment bank to pursue a career in music full-time. While most of the people around her thought that she had lost her mind, she knew that she had made the right decision. In this talk, Franklin will discuss the pursuit of happiness, embracing failure and rejection, and rejecting ideals that don’t suit you or your vision. This 20HERTZ program is presented in conjunction with the exhibition Cheryl Donegan: GRLZ + VEILS. Kam Franklin is the lead vocalist for the gulf coast soul band, The Suffers. She has been publicly singing since age five, and she is a three-time recipient of the Houston Press Music Award for Best Female Vocalist. She has performed with The Houston Symphony, and she has been featured in Buzzfeed, Refinery 29, and Nylon for her unique sense of style. With The Suffers, she has performed on The Late Show with David Letterman, The Daily Show with Trevor Noah, and Jimmy Kimmel Live. She is also a very active participant in the Houston music scene. 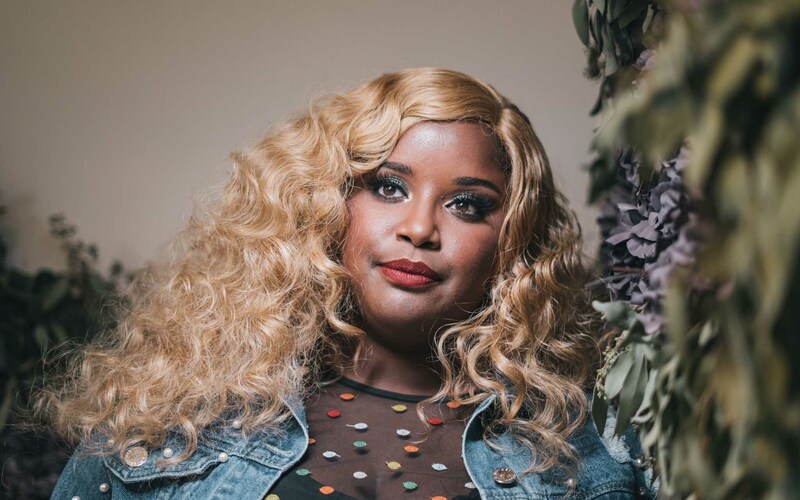 Franklin has put on multiple events that have featured up-and-coming acts from around the Houston area, and she is always coming up with new and creative ways to represent the city while performing with The Suffers around the world. 20HERTZ is a lecture series conceived around the themes of musical influences in everyday life. Artists, musicians, and all-around creatives are invited to share the music that has influenced them in their life and work. Some programs have included a short performance. Past speakers have included Jason Moran, Mydolls, Jana Hunter, Maria Chavez, and Flash Gordon Parks.